Combining cuteness with compactness, Ecotots is a full-line of environmentally friendly wooden modern furnishings for your tot’s play spaces. Designed to flat-pack and ship efficiently, the line of tables easels and desks also assemble and disassemble quickly and without tools or hardware. Plus they’re made from 100% renewable FSC certified Smart Wood®, and come in a variety of eco-friendly, colorful UV finishes. 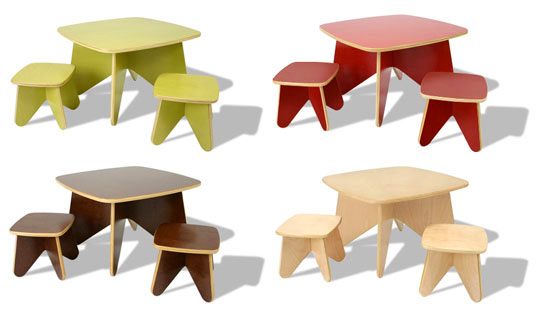 Indianapolis-based Ecotots is a sub-brand of The Simple Furniture Company, a privately held company and member of 1% For The Planet. 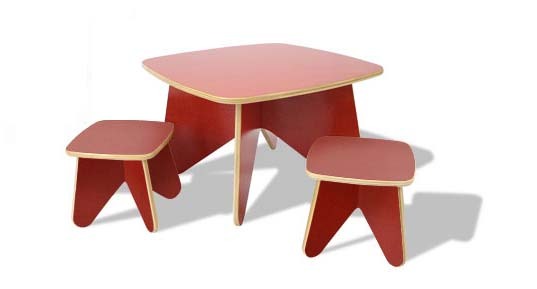 Combining cuteness with compactness, Ecotots is a full-line of environmentally friendly wooden modern furnishings for your tot's play spaces. Designed to flat-pack and ship efficiently, the line of tables easels and desks also assemble and disassemble quickly and without tools or hardware. Plus they're made from 100% renewable FSC certified Smart Wood�, and come in a variety of eco-friendly, colorful UV finishes.